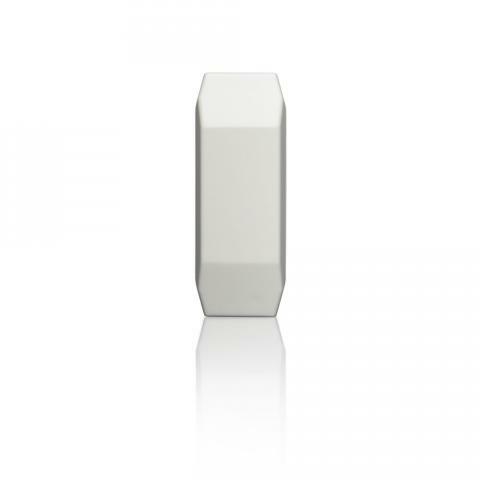 Sikom Wireless Temperature Sensor is easy to install since no cables are required. 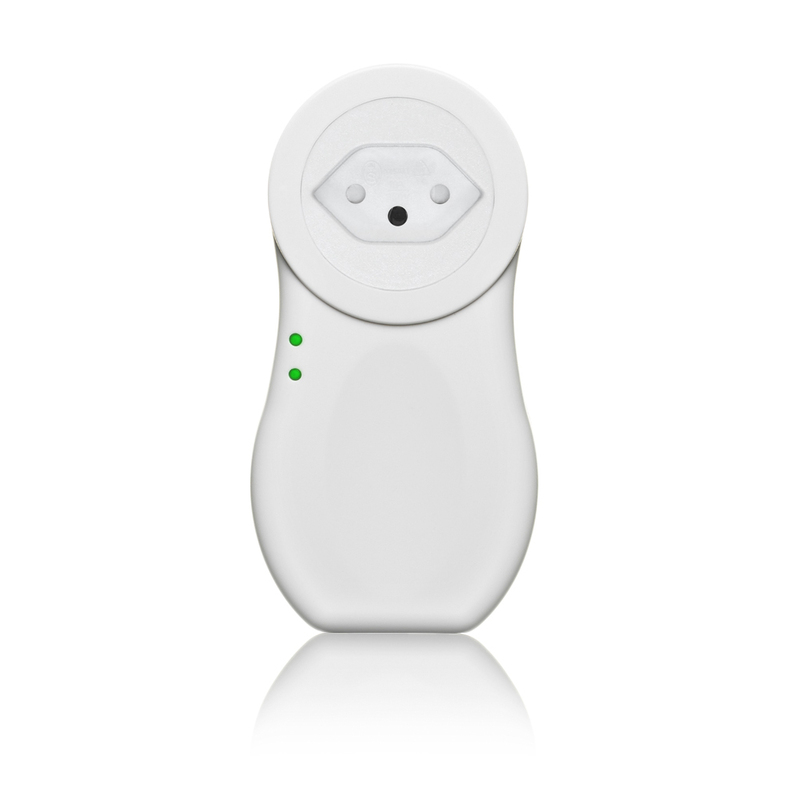 Perfect for monitoring temperature since it can send a warning for both high and low temperature. GSM Eco-Comfort is a very versatile large capacity control unit. It can control up to 64 wireless devices and covers everything from wireless plugs for control of heaters, relays for installation in fuse boxes, wireless floor/room thermostats and a wide range of detectors. 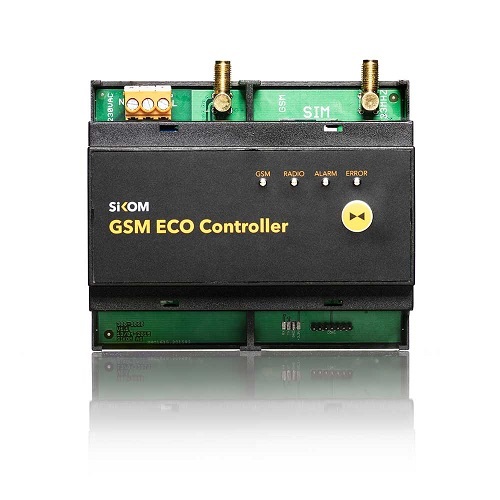 GSM Eco-Controller is a very versatile control unit for smart houses and cabins. This large capacity unit can control up to 64 wireless devices. Otherwise same functionality as GSM Eco-Comfort but with Modbus and RS485 in addition and intended for installation in the fuse box. See GSM Eco-Comfort for more details. GSM Eco-Starter is a very versatile large capacity control unit. 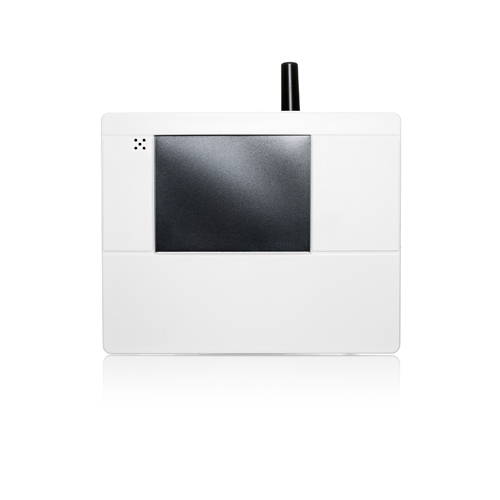 It can control up to 64 wireless devices and covers everything from wireless plugs, relays in the fuse box, wireless floor/room thermostats and a wide range of detectors Local operation via a user friendly touch screen. Sikom GSM Mini Plus is our Plug & Play solution for simple control purposes. 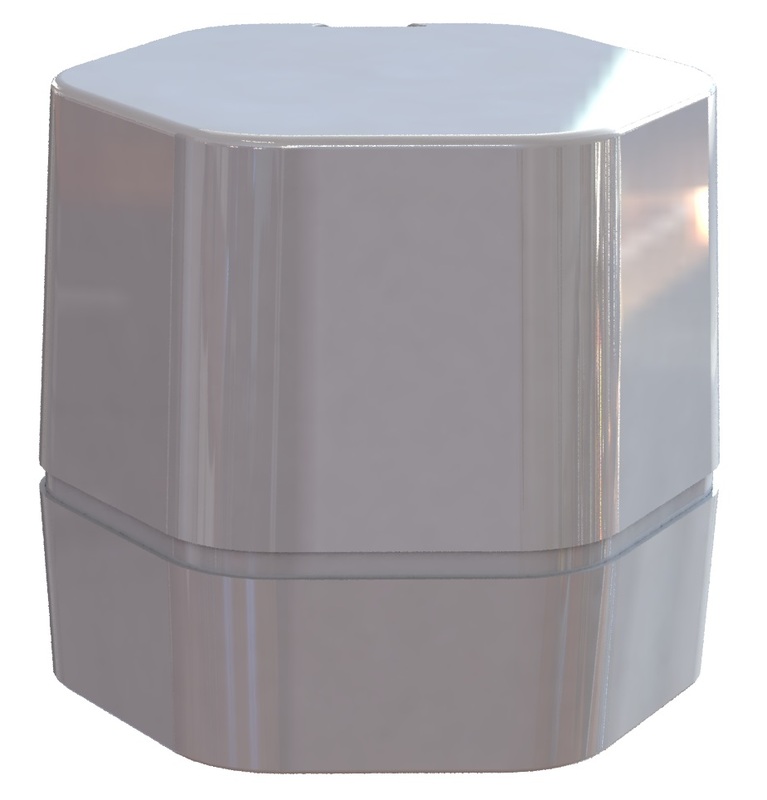 GSM Mini Plus is used to remotely activate heating as well as controlling industrial appliances. The unit can control up to 8 wireless electrical outlets by radio, making it your simplest and most reliable option if you want to control appliances such as heaters. 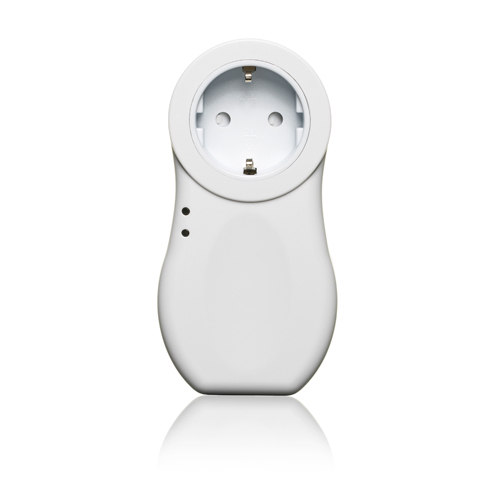 Sikom GSM Mini Plus (Switzerland) is our Plug & Play solution for simple control purposes. 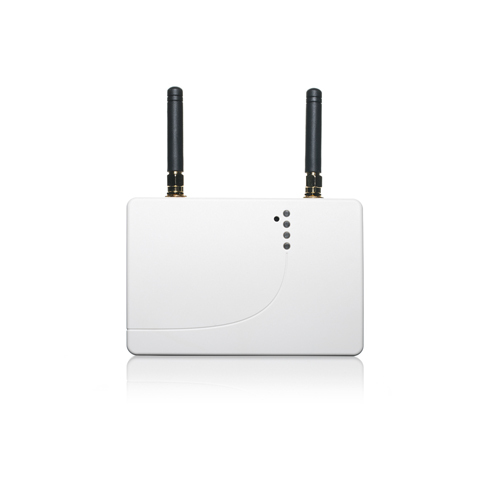 GSM Mini Plus (Switzerland) is used to remotely activate heating as well as controlling industrial appliances. The unit can control up to 8 wireless electrical outlets by radio, making it your simplest and most reliable option if you want to control appliances such as heaters. Temperature Sensor, 8 m is a temperature sensor with stripped cable ends ready for connection to connection block. 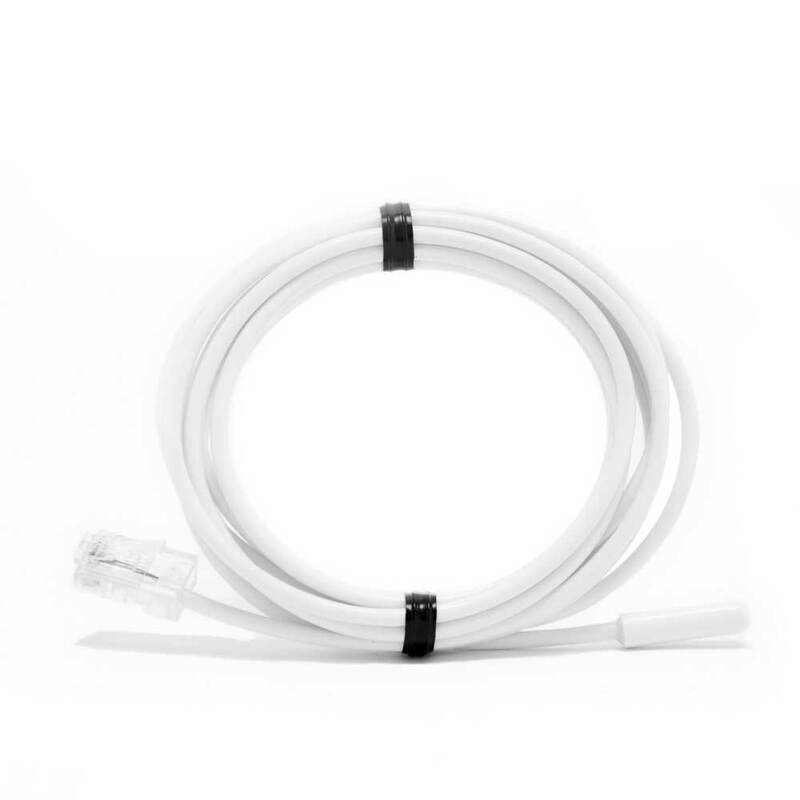 Sensor and sensor cables should not be exposed to direct sunlight, the jacket around the cable is not UV resistant. The sensor can be shortened and lengthened.